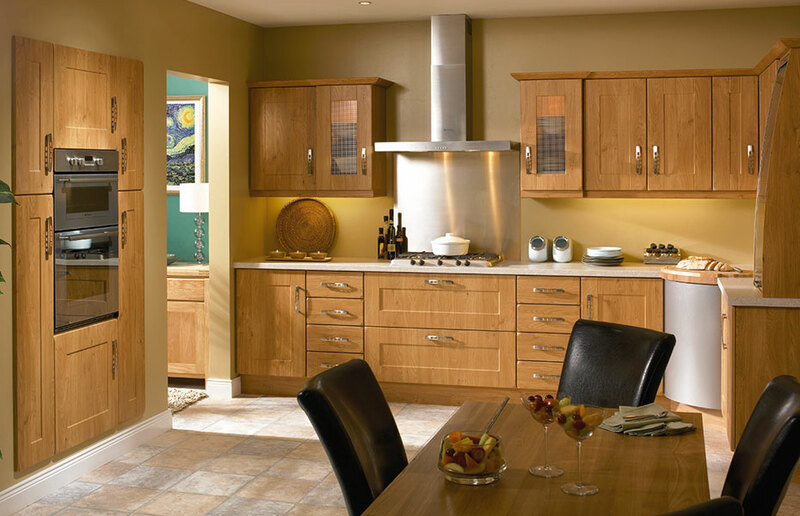 The Shaker Houston doors feature wide rails and stiles with chamfered corners. The mesh door insets, sliding shutter and stainless steel corner unit all add a subtle contemporary feel to this classic kitchen. Very much a style that would suit a wide range of settings - be it a new build, an apartment or an older property. 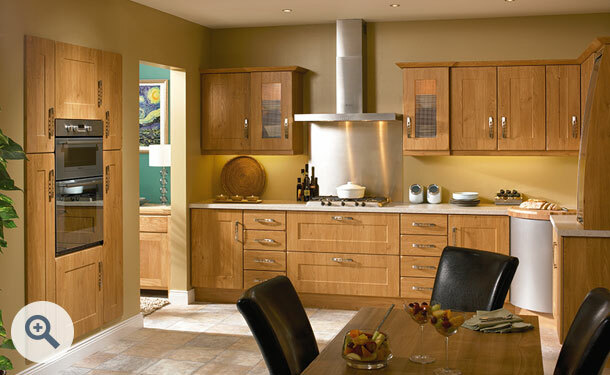 Shaker Houston Pippy Oak kitchen doors start from just £16.82. Click the button to request a free large sample swatch of Pippy Oak. Click the button to purchase a Sample Shaker Houston design door in the Pippy Oak finish. The Shaker Houston design is also available in ALL non-gloss finishes. The Shaker Houston design is also available in ALL high gloss finishes. Please Note: The Shaker Houston design is not available in any high gloss finishes.